The New You Plan has helped thousands of people over the last 7 years reach their target weight and transform their lives. We pride ourselves on providing the full package for all our customers from the very start. Making sure they have firstly everything they need to start confident and stay motivated throughout their journey. Secondly allowing an easy transition back to non plan food making sure the right choices are made with their diet and thirdly creating an overall positive mindset, changing their relationship with food, learning to love their body and believing in themselves that nothing is unachievable if they put their mind to it. By watching our members transformations blossom throughout their journey they become like family to us. Seeing them through the good and bad times and celebrating with them when their target weight is reached. We love seeing the joy our company brings to peoples lives as it lets us see the good we do. Each day we welcome new members to the community and the cycle starts all over again but there are some who have been with us from the start and have become almost brand ambassadors for The New You Plan by becoming pillars of support to all members within the Secret Slimmers community. 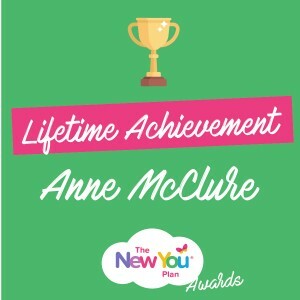 One lady who has definitely gone above and beyond her weight loss journey, winner of the Lifetime Achievement Award, Anne McClure. Anne had searched for years to find the right diet for her and had almost gave up when she discovered the New You Plan. From being a big lover of fashion she wanted to be able to wear the clothes she wanted with confidence and to be able to go into any store and pick an item from the rails knowing it would fit like a glove. From carrying out a very active and social life Anne felt she dressed more for her size and not her personality so she knew she had to changed. With added cautions of blood pressure she knew that it was not only her appearance she wanted to change but to become overall more healthy. Annes weight lost did not take long to kick in, in her first week she lost 12.5lbs and a further 6.5lbs in her second. 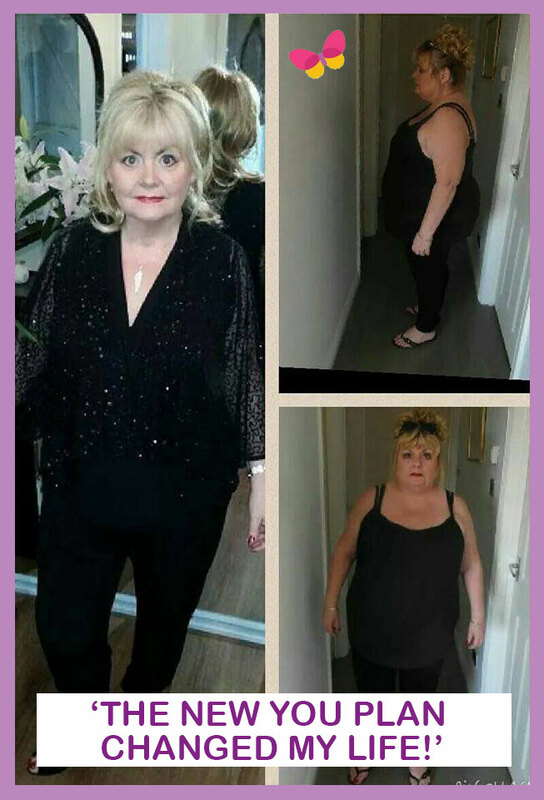 As the weeks went on so did her incredible weight loss and then 6 months down the line she had reached her 6 stone target. That is the beauty of a VLCD plan, the results are quick but it is carried out in a safe and healthy way. 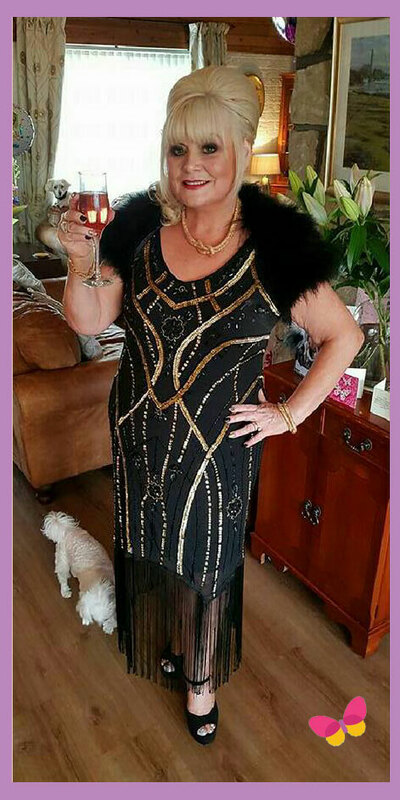 From day 1 Anne became a positive figure amongst our Secret Slimmers community, providing that sympathetic shoulder to those who needed it and sharing her words of wisdom to those starting out. It did not take long for Anne to become a well respected member that people could rely on. Wherever she could Anne would help out the team with new and existing customers, creating success stories for us to share with the community and answering questions our members needed the answers for. 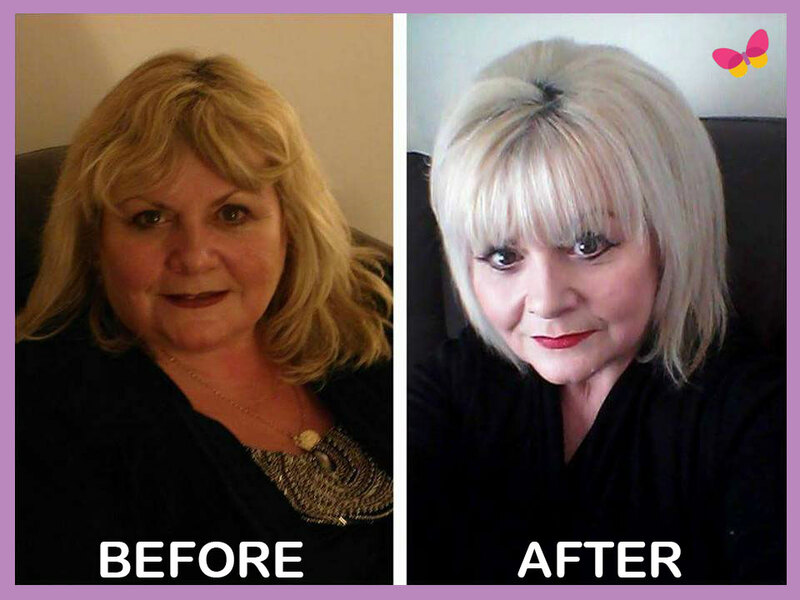 Back in November 2016 we welcomed Anne as a New You cheerleader which allowed her to help out even more within the community. Motivation became Anne’s middle name with everyday came a new motivational post or video. 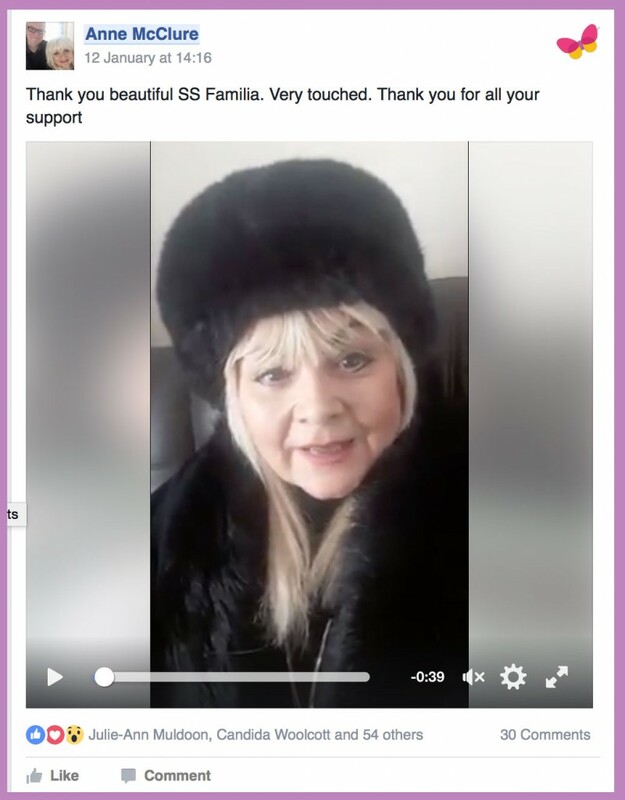 From Anne being a long term member within the community it was great way to create a bond with the new and existing members as she became the friendly face amongst the newsfeed that people could branch out to when they needed something. Anne became a pillar of support to all who needed her help, from private messages to phone calls, no member was left in the dark when they were struggling on plan. By providing such a needed service it is no wonder Anne has been awarded the Lifetime achievement award at the New You Awards 2016. 1. Take it one day and indeed one meal at a time – it is really important to pace yourself at the start of our plan to ensure that you make it through the initial stage and into ketosis. Keep your goals small and achievable at this point – the rest will happen soon enough! 2. Keep your water intake up. This is so important at the start of the diet as it really helps flush your system out and keep you from feeling hungry while you make your way into ketosis. A well hydrated body performs well too, so this is just a great habit to have in life! 3. 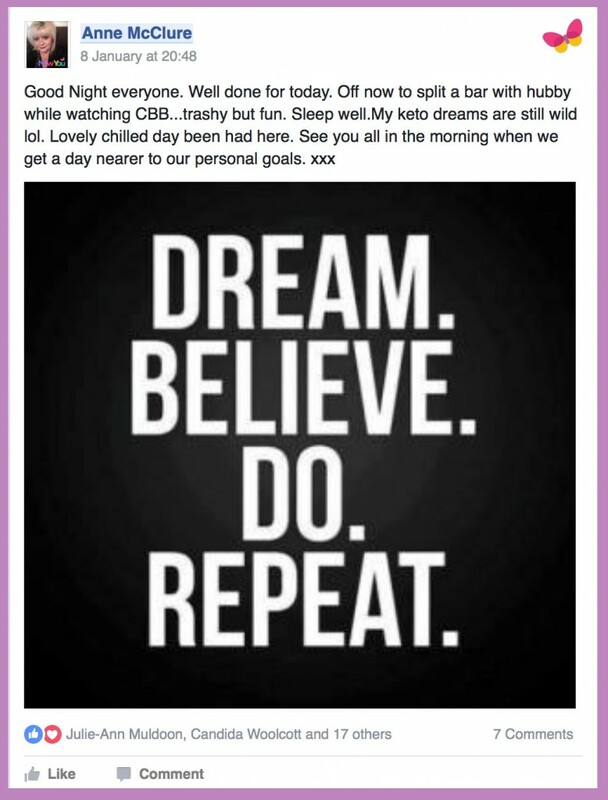 Use the support that is on the Facebook Secret Slimmers group. Everyone in this group has either been through the diet or is going through the diet, collectively there is more knowledge here than you will ever need, however this also means there is always a solution to a problem and a sympathetic ear to listen. 4. Don’t beat yourself up when things go wrong just make sure you keep chasing your goals! Success in any diet or fitness regime depends on your willingness to keep trying. Every step you take forward brings you closer to your goal. There may be times you are stepping to the side or even backwards, but a concerted effort to keep moving forwards is always going to yield the results. How has the plan changed you? The plan changed my life. I lost a whole person and improved my health. The support of this amazing group and New You Team has given me my life back. Given me confidence. Allowed me to enjoy buying clothes again. Being fashionable instead of frumpy . For the first time in my life I knew I could be in control.I am enjoying my 60’s more than I did my 50’s and 40’s when I gained the weight. 20 yrs of just being over weight and miserable. Living my life now. Not just passing through. This February we are launching a new Step Challenge to get you all up and moving to push yourself to see what you can achieve. The set up is the same as the previous weight loss challenge, we want you to set yourself a target step count and then work your way towards it throughout the month of February. Updating your progress each week. If you complete the step challenge you will be entered into a draw to win some fantastic prizes.